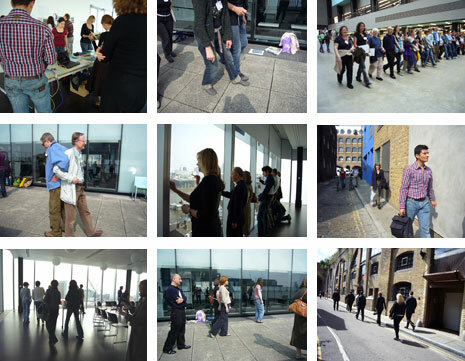 "All Truly Great Thoughts are Conceived by Walking"
The title of this workshop, taken from a quote by Friedrich Nietzsche, refers to walking as a creative medium and to the pedestrian as an active creator of public space. From Baudelaire’s flâneur and the Situationists’ theory of psychogeography, to Francis Alÿs’ performances and Richard Wentworth’s photographs, artists have often made use of walking as a starting point for the creation of art. This workshop will take participants on a personal journey through the city, exploring the artistic tradition of walking as an art form. Going beyond the idea of the flâneur as a detached observer of the metropolis, the workshop encourages participants to make their own creative marks in the city and to explore exciting ways in which this experience can be documented.